You might wonder why I don’t write about poverty after a visit to a country like Malawi. After all, with a per capita GDP of less than 300 dollars per year, Malawi is one of the poorest countries in the world. It’s because it is too difficult to capture. I would never be able to explain how it is to meet people who every year faces the possibility of not having enough food during part of the year, of not being able to send their children to school, or even dress them in anything but rags. Or how it is to see a 5 or 6 year-old girl stand alone next to the village road, waving at us as we drive by, and we waving back only to see that she is carrying a baby sibling in a sling on her back. Knowing how capable she obviously is already, and yet how few chances she will have. That she will be lucky to even survive her own pregnancies one day. It just becomes anecdotal and easily sounds like development tourism, and it’s not want I want to communicate here on this blog. Instead, I hope that I can show that things aren’t black and white, and never just poor. That there are nuances to every country and that many of the poorer countries that I’ve been to, including Malawi, are immensely beautiful and rich when it comes to their people, weather it’s because of culture, attitudes, kindness, or food. That in most countries that I work, there are pockets of poverty but also a middle class that are like urbanites in most places. And most importantly that regardless of our economic circumstances, we are all very similar in our believes, wishes, and needs. I think this picture from my Malawi trip captures that last part. I had been talking to farmers in this village and as we walked to their fields to look at their crops, I had this growing group of children following me around. So I asked if I could take a picture. What I love about this photo is that despite the clothes these kids are in and the chores they would have to take care of after, they act just like kids anywhere. Every one of them has his or her own thing going on, their own little kids secrets, and in other clothes, this could easily be a class photo from an American or European school. Their circumstances might be different, but kids are the same everywhere and they deserve the same chances. 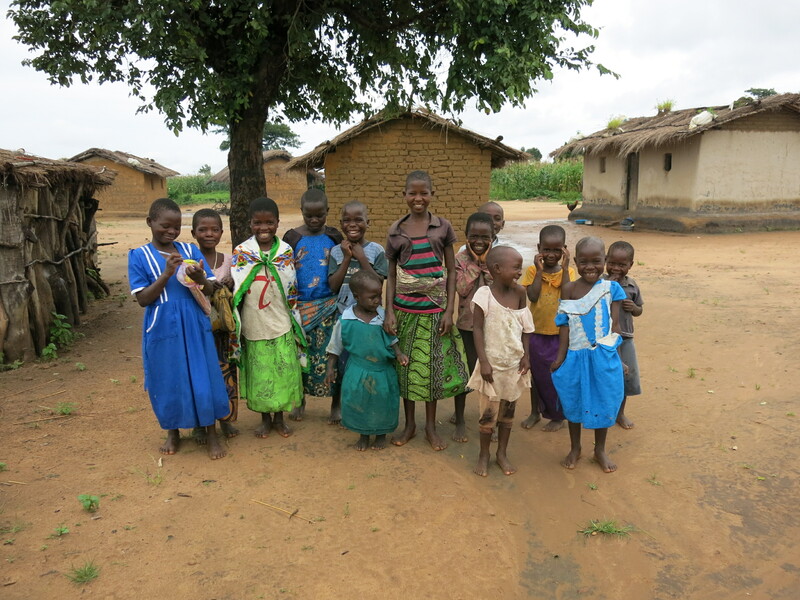 This entry was posted in My Travels, Our World and tagged Malawi children. Bookmark the permalink. Ja, bedårande! Men så otroligt fattiga.